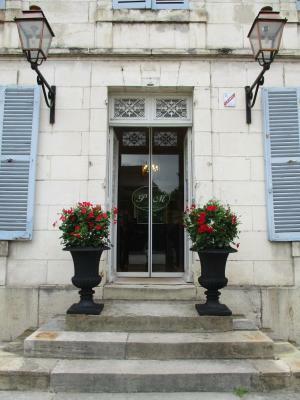 Lock in a great price for Hôtel Les Maréchaux – rated 8.7 by recent guests! Beautiful building. We regret that we did not get the breakfast. We wish we could have stayed more than one night. 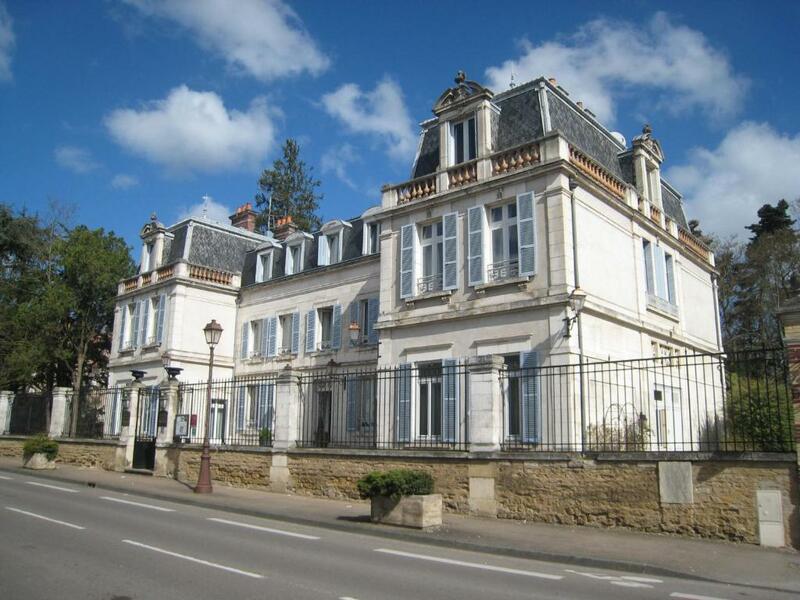 Auxerre has a lot to offer, and this is a great location from which to explore the city. Staff and owners extremely helpful, warm, welcoming, and friendly! Helped arrange for taxis and forgotten items, and very good at communicating with elementary French speaker! New owners have made this a super comfortable place to stay! 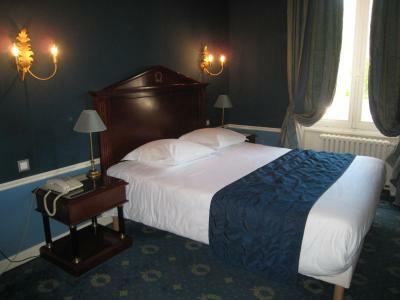 Our room is beautifully decorated in the blue color , the bed is comfortable. 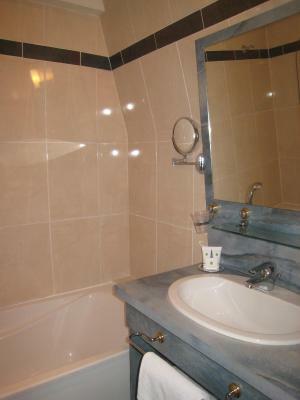 The bathroom is very clean and there is the tea, coffees in the room. The breakfast is very good too. 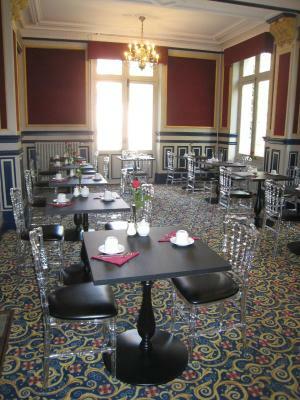 Breakfast was wonderful and and the rooms were clean, quiet and comfortable. The staff were polite, helpful and extremely pleasant. 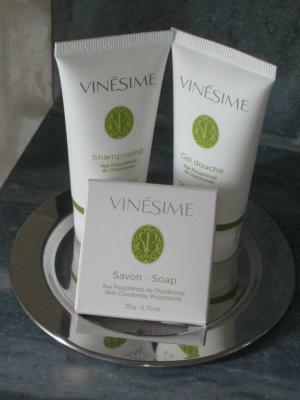 We would recommend this to anyone for overnight stay or several days. Wonderful reception. 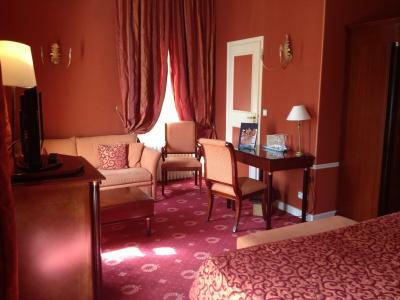 Cute, large room with Napoleon III furnishings. Nice outdoor patios and pool. Comfortable patios and common rooms. Walkable to all of the sites and old town. Good value for a lovely hotel. Fantastic staff....couldn’t be nicer and helpful in ever way. Recommended excellent restaurants and made our reservations for us. Would go back anytime. A lovely place! This is a fantastic hotel and everything was amazing. The pool was great, the reading room was great, the room was great. You can't go wrong with this one! 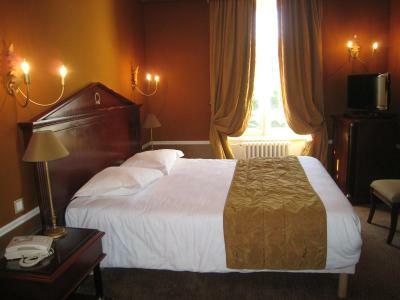 Loved the rooms named for French Marshalls, the bed was great as well as the room. Had a fabulous recommendation for a resturant and a nice before and after dinner Gran Cru glass. Easy to get to city center and the family staff really treated both of us well. The breakfast was awesome with the local cheeses and fruits. 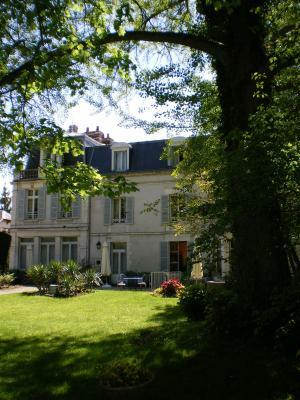 Hôtel Les Maréchaux is housed in a 19th-century mansion located in Auxerre, in a tranquil area surrounded by a private garden and a shady park. Rooms at the Hôtel Les Maréchaux are air-conditioned, decorated in a delicate 19th-century style and are fitted with fine furnishings. All provide a cozy living space ideal for a relaxing getaway. 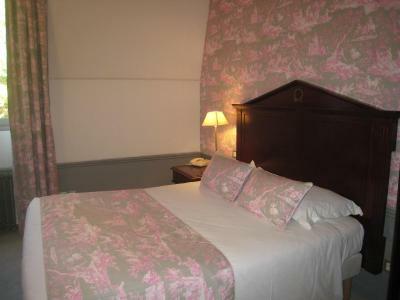 The rooms feature a flat-screen TV with international channels, tea and coffee making facilities and free WiFi. They also have a private bahtroom with a bath, free toiletries and a hairdryer. A buffet breakfast including local and fresh products is served daily at the property. Hôtel Les Maréchaux also has 3 comfortable and secluded lounges which are perfect for enjoying breakfast, tea or an aperitif. The bar offers a full selection of drinks in a charming setting. Guests can relax on the outdoor terrace or enjoy the seasonal outdoor swimming pool, which is heated during the summer season. 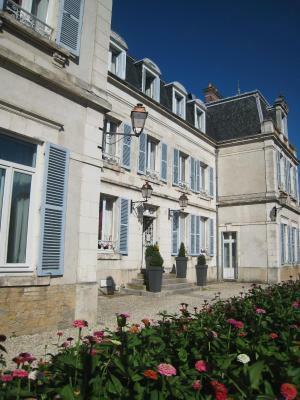 Free parking is provided at the Hôtel Les Maréchaux, making it easy to explore the Burgundy region by car. 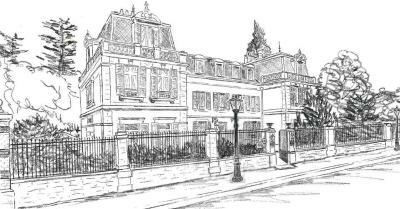 When would you like to stay at Hôtel Les Maréchaux? 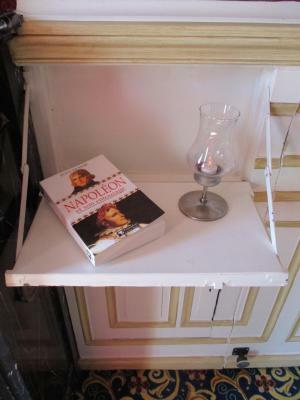 House Rules Hôtel Les Maréchaux takes special requests – add in the next step! Hôtel Les Maréchaux accepts these cards and reserves the right to temporarily hold an amount prior to arrival. Please note the swimming pool is open from July 1 to August 31. Cash and Checks Vacances holiday vouchers are accepted methods of payment at the property. Please inform Hôtel Les Maréchaux of your expected arrival time in advance. You can use the Special Requests box when booking, or contact the property directly using the contact details in your confirmation. 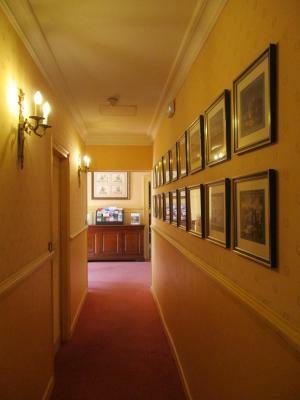 There has been real care taken to modernise the hotel but to make sure it keeps its character and historic atmosphere. The owners and staff are welcoming , helpful and friendly. The breakfast, all locally sourced, is really excellent. 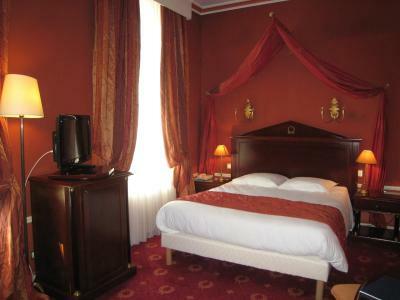 The hotel is in easy walking distance of the old centre of Auxerre. Woukd have been if they had a resturant to save going out after a long drive! Nitpicking!! Easy reach of beautiful ancient town centre wish we had longer. Hotel tastefully decorated and clean. Our room was at the rear and quiet. The hosts were friendly and welcoming. Thy recommended a local resturant it was brilliant. There was also a large car park. Would recommend. Beautiful old building excellently maintained! Staff very friendly. Great location and free on-site parking. Good quality breakfast. 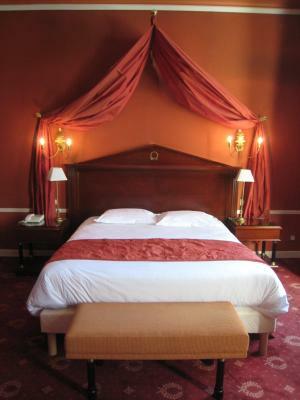 Comfortable bed, nicely decorated bedroom. 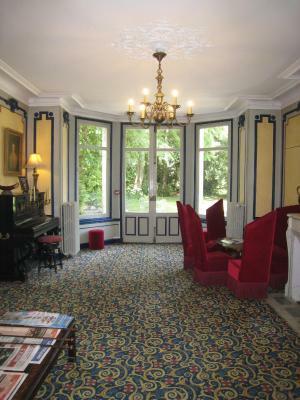 The hotel had a traditional feel to it, a personality unlike the big chains. 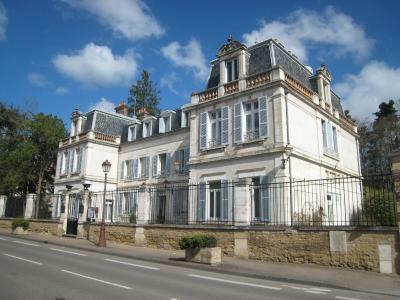 It is well located; easy to find and convenient for walking into Auxerre. Friendly, helpful staff. Very friendly staff. Perfect location. 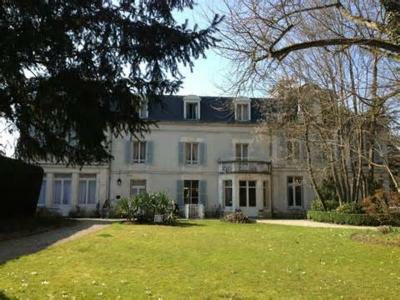 Just 5 minutes on foot from the old town of Auxerre. Very good breakfast with fresh local products. Free parking. Good value for money. Lovely breakfast. Room comfortable. Staff very friendly. Quiet hotel near town centre. It would be nice to see them open their own restaurant, but with the ready availablity in the town it's not too much of a hardship really. The enthusiastic owners were friendly and helpful. The decor was nicely done to reflect the building. 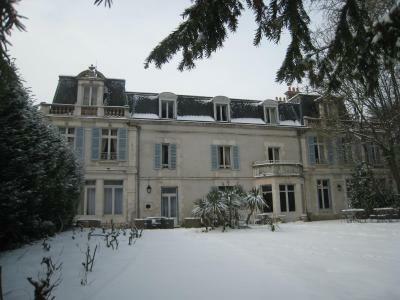 The location, less than 500m from the medieval centre of Auxerres was great. A short walk to several good restaurants and bars as well as banks and shops. Parking at the hotel was great and their late entry code system worked well. Great gardens and pool area, unfortunately closed in October, although we did picnic in the garden one lunchtime! Good breakfast, nice pastries very fresh. Lift available to all floors. Great for the baggage and my poorly knee! Red squirrels run round the garden. Nothing, I enjoyed my stay here immensely and wouldn’t want anything changed. Hotel is very comfortable and well run by the owners. 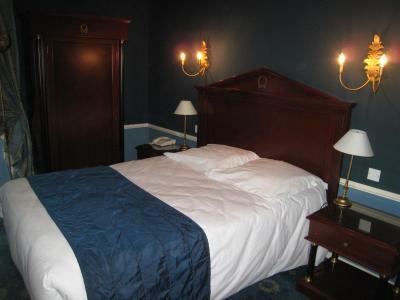 The rooms are clean and the beds are great. My room overlooked the pretty back garden, which made it very quiet for sleeping. 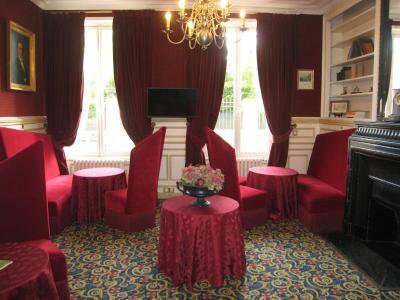 The hotel is about 5 minutes walk from the centre of Auxerre which is well worth visiting for its old buildings. Loved this place beautifully located in a park. Very friendly staff. Only wished we could have stayed longer and it had been Summer to use the swimming pool. And found Auxerre a lovely little town.